Happy Friday everyone! I have a super fun mani to end the week with! I got the idea for this mani several months back from Rin's Nail Files and only just recently got around to trying out the technique. 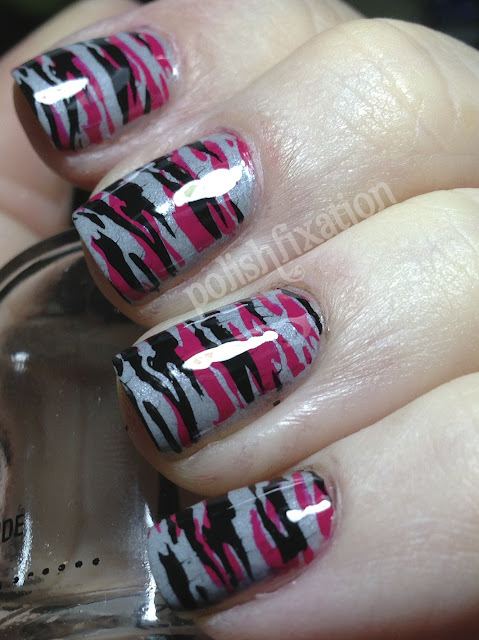 I absolutely adore this mani and MUST do this again in the future! It's also super easy to get this look! I used stamping plate Mash-38 and stamped on the pink, then reversed the stamper when doing the black. The base color is an amazing polish by Soo Nails which I will show in an upcoming post. Aren't you dying to try this technique now yourself? Any fun stamping tricks you like to do? That is freakin awesome girl! The colours you chose are perfect ! Love this going to do this soon! 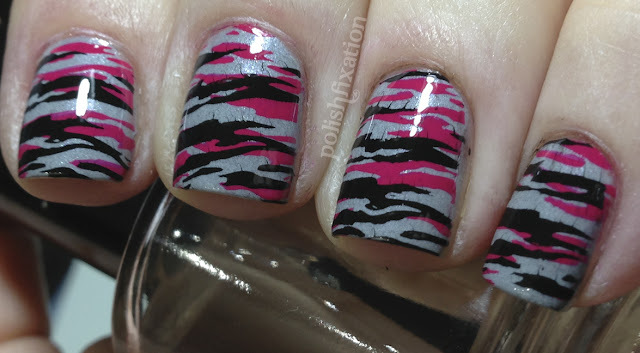 Great colors and the double stamping turned our wonderfully!